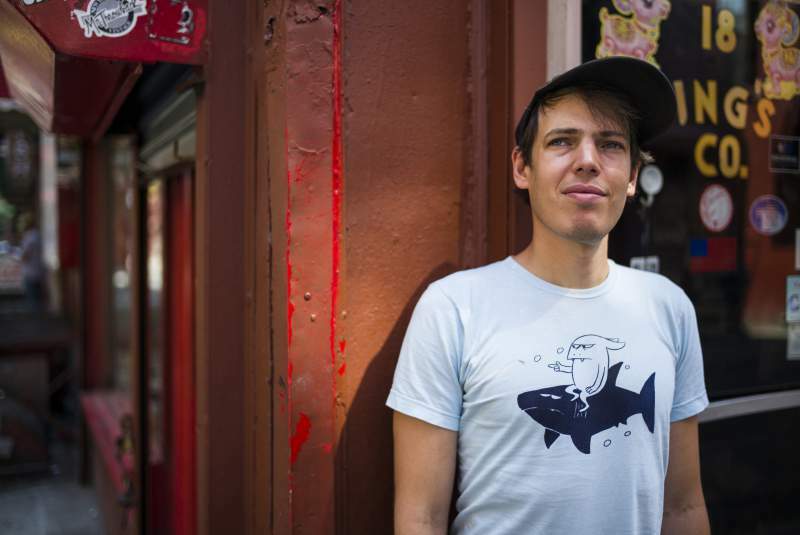 A firm crowd favourite down at The Cluny makes his latest appearance at the venue on Tuesday 10th October, as acclaimed songwriter and graphic novelist Jeffrey Lewis and his backing band Los Bolts return two years on from a sold-out Christmas show. His most recent album Manhattan saw Lewis push at the edges of his lyricism, delivering both some of the most honest and witty songs of his career – the comic Support Tours being something of a favourite – as well as surprising self-critique of his established shtick on tracks like Sad Screaming Old Man. Alongside that though, you can reasonably expect gems from across a songwriting career that’s seen him cover the work of Crass, work with psychedelia survivor Peter Stampfel (and for anyone who caught it: well, wasn’t that Cluny date a strange little evening?) and break into the popular consciousness with paens to Will Oldham and Mark E Smith of The Fall. His live performances, replete with his own illustrations and visual work, are as reliable a treat as you can find in the musical sphere. With support coming from inescapable upstarts Swine Tax, this is one night not to miss for the long-since converted and the curious alike.